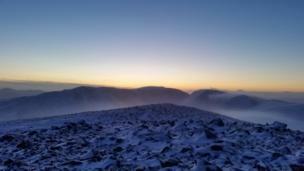 A selection of your pictures of Scotland sent in between 11 and 18 December. 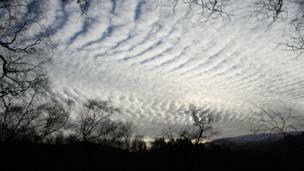 Mackerel clouds over Ben A'an. Aleks Marek was there on Saturday. 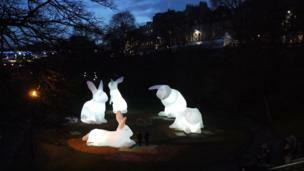 These visitors to Aberdeen's Union Terrace Gardens are part of the city's winter festival. Photo by Jane McWhirr. 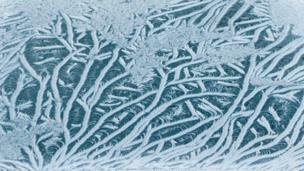 Frost on Bill Meikle's car roof in Birgham, Scottish Borders. 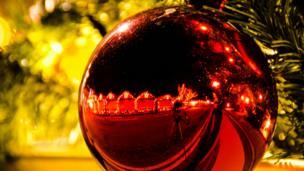 Reflections on a bauble in Aberdeen's Christmas village. Photo by Chirag Dedhia. 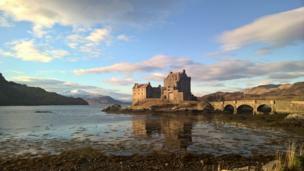 Eilean Donan Castle. Stephen Lawrie, from Airdrie, was on his way to the Isle of Skye. 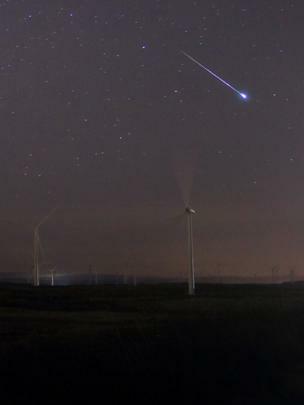 Ewan Kane watched a geminid over Whitelee wind farm. 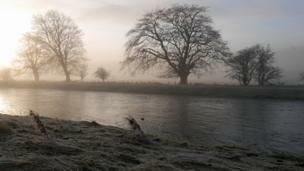 The River Tweed on a frosty Sunday morning was photographed by Adrian Winnard from Innerleithen. 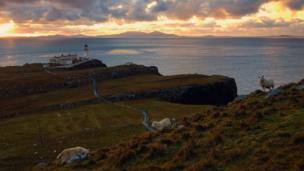 The sheep realised they had company when James Townsend, from Edinburgh, went to watch the sunset at Neist Point on the Isle of Skye. 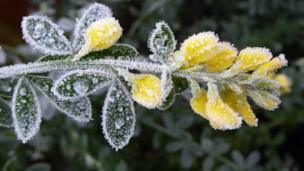 This canary broom began flowering in Valerie Pegler's garden, in Livingston, and froze the following weekend. 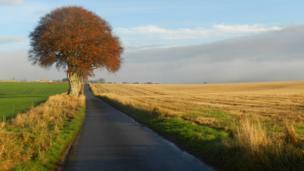 Allan Maciver stopped on the road to Killen, while on a trip to Fortrose, on Wednesday. 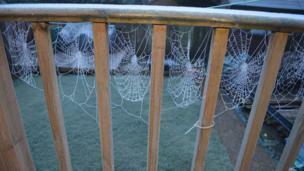 Spider webs in Glasgow. 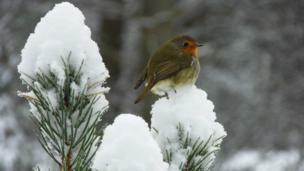 Photo by Rhona Irvine from Bearsden. 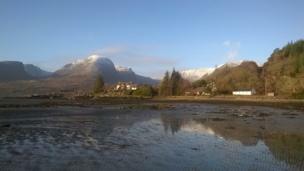 Thomas Lavelle was at The Brack, in Argyll, on Sunday. 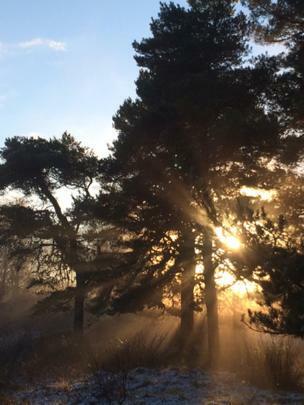 Anne Sangster took this photo of Scots pine trees on a sunny morning in the Black Isle. 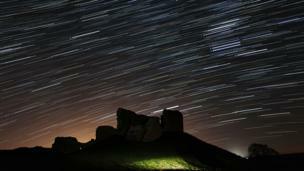 Star trails over Duffus Castle on Saturday night. Photo by Alan C Tough from Elgin. 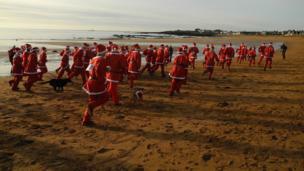 Iain Rooney watched the East Neuk of Fife's annual charity Santa fun run along Elie beach. 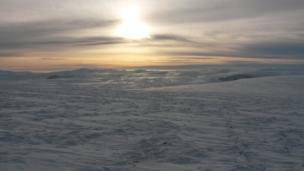 Sunset over Creag Meagaidh between Aviemore and Fortwilliam. 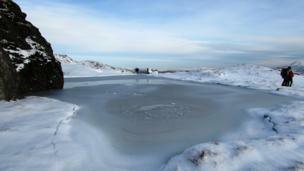 David Boyd, from Aberdeen, had spent the day walking through soft knee-deep snow. 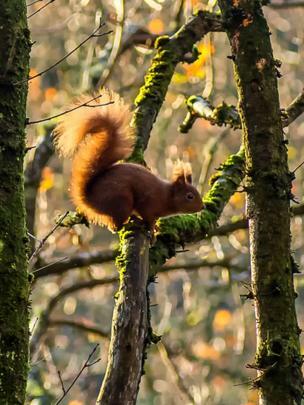 Alex Rose said this was his first sighting of a red squirrel in Dollar Glen, Clackmannanshire, in 20 years. 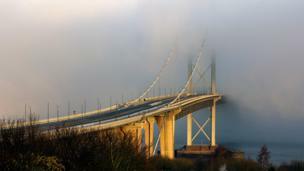 The Forth Road Bridge was shrouded in mist on Sunday. Photo by James Deans from Livingston. 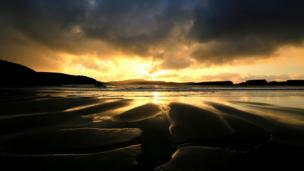 St Ninian's Isle, Shetland, an hour before sunset. Photo by Richard Lewis. 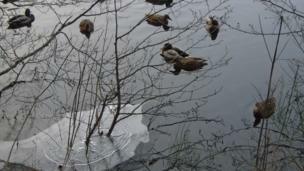 Mallard ducks made their way through an icy Cuilc pond. Photo by Rab Stewart from Pitlochry. 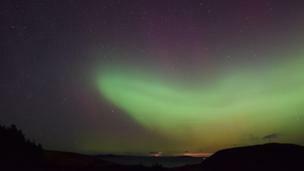 The Aurora Borealis over Rhue, near Ullapool. Photo by Marc Hilton. 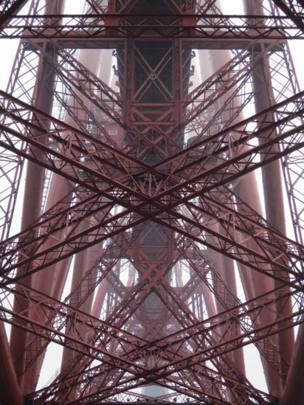 Heather Hartley, from Edinburgh, took this photo of the Forth rail bridge on Sunday. Sarah Wilson, from Ballater, walked alongside the River Dee on Monday. 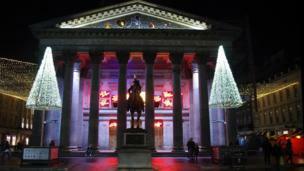 Glasgow's Gallery of Modern Art. Peter Watkins, from West Kilbride, was there on Saturday. 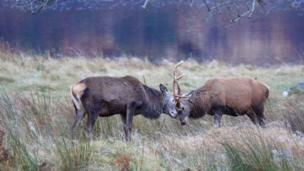 Bill Cameron, from Lochaber, watched two stags clash by Loch Arkaig.